Christchurch Tram – did you know Tram tickets are valid for one calendar day? Purchase yours early in the day to make the most of this and hop on and off the trams to explore all the central city sights. Don’t miss the Canterbury Museum and Botanic Gardens, the boutique stores at the historic Arts Centre (including the Fudge Cottage! ), New Regent Street, Avon River or the Cashel and High Streets shopping precinct. Each tram driver gives a unique live commentary, so try hopping on board with different drivers to hear something new! Punting on the Avon – our top tip for Punting is to book a time in advance! Punting are very busy in summer and can book up quite quickly, so if you arrive in the afternoon without a booking time there is a chance you may not be able to join a punt tour. It’s also best to slather on plenty of sunscreen and maybe don a hat before sitting back and relaxing on the Avon River. 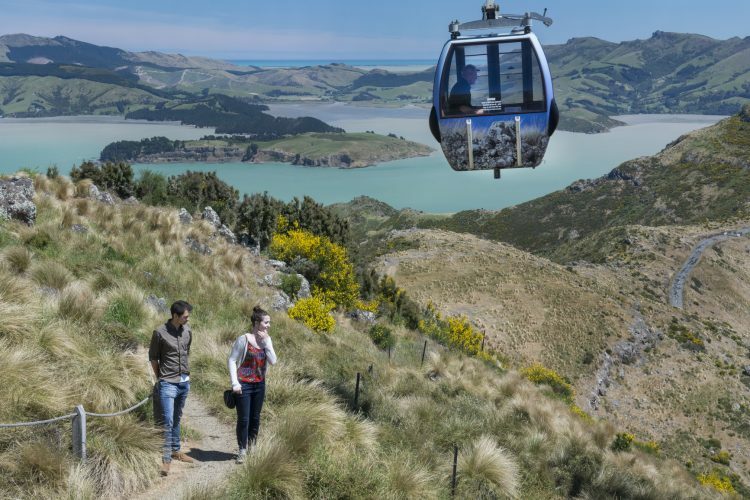 Christchurch Gondola – the views are spectacular but don’t forget about the café and gift store at the top! The café is a great spot for a coffee, snack or lunch with a great view, and the gift store stocks great souvenirs, clothing, jewellery and homewares at very reasonable prices. If you’re a Tram & Gondola Annual Pass holder make sure you present your card to the gift shop staff for a 10% discount. There are also some great walking tracks accessible from the top station so bring your walking shoes – plus you can always purchase a one-way Gondola ticket from our staff and walk either up or down instead. Christchurch Pass – the Christchurch Pass ticket combines the Tram, Gondola, Punting and Botanic Gardens Tour at a great price. 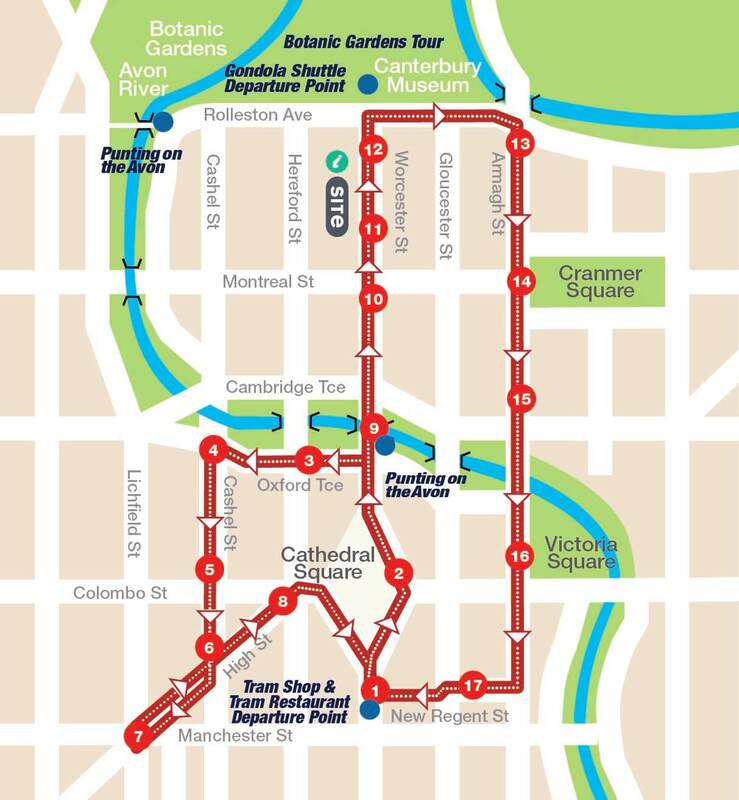 You can visit the attractions on different days if you don’t have time to visit all four on the same day, plus you get a free return Gondola Shuttle ticket too! Getting around – Punting on the Avon, the Botanic Gardens Tour and the Christchurch Tram are all located very close together near the Canterbury Museum: tram stop 12 is right across the street, the Botanic Gardens Tour departs from the Peacock Fountain next door and Punting is a 3-4 minute walk away at the Antigua Boatsheds. The Christchurch Gondola is a 20-minute drive away from the city centre so is a bit further away, but you can either drive, catch our Gondola Shuttle bus from outside the Museum or catch public bus #28 to get there. Parking in Christchurch – The Christchurch Gondola has a large free car park for customers to use, so there is plenty of parking space for those driving to the base station. The West End parking building between Hereford and Cashel Streets is only a few blocks from Punting and the Lichfield, Crossing and Hereford Street parking buildings are all close to stops on the Tram route. There is also 3 hours free parking in the Botanic Gardens off Armagh Street but this tends to fill up quickly so it’s best to try to get there early. We look forward to seeing you at Christchurch Attractions this summer!